Category Archives: I want some Norwex but where do I start? Norwex: Where do I start? The basics explained. People often ask me what are the best Norwex products to start with? My answer is “you can’t go wrong with The Dream starter Kit!” or Dream Starter Kit Plus which is one of our newer kits! Switch your sprays and cleaning products to these cloths & cleaning paste and you have a natural, time and money saving solution for your everyday cleaning. So what’s in this dream kit? Get rid of those stinky chux, sponges, spray and wipe and paper towel & enter these amazing kitchen cloths. These fast drying and absorbent cloths are made from microfibre and since they have our “baclock” silver technology within the cloth which is added during manufacturing, it inhibits bacterial odour, mould and mildew growth within the cloth so they just don’t smell like other dish cloths. Where do you use them? It is fantastic for wiping kitchen tables and benches, stovetops, refrigerator shelves, cleaning up kitchen spills and washing up (just use it on the blunt side of sharp knives). Use them on stainless steel, enamel, ceramic, glass, chrome, granite, marble, slate, quartz, tile, wood, plastic, stone and china. Wring out and hang cloth after use. If you have a thermomix these are a MUST have! If you get STREAKY benchtops they are also a MUST HAVE! The enviro is our “everything” cloth. 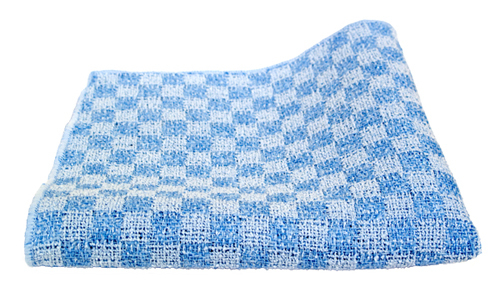 This tightly woven microfibre cloth has 2.9 million metres of microfibre in it. So as you clean surfaces the tiny hooks on each fibre pull up any residue and dirt off the surface. This can be used dry or damp. And clean surfaces such as windows, mirrors, shower screens, walls, carpet stains, couches, car interiors, cupboards and more. You get one of these enviro cloths in this kit (or TWO in the Dream starter kit plus). Then add its “bestie” the window cloth and you have a serious combination. 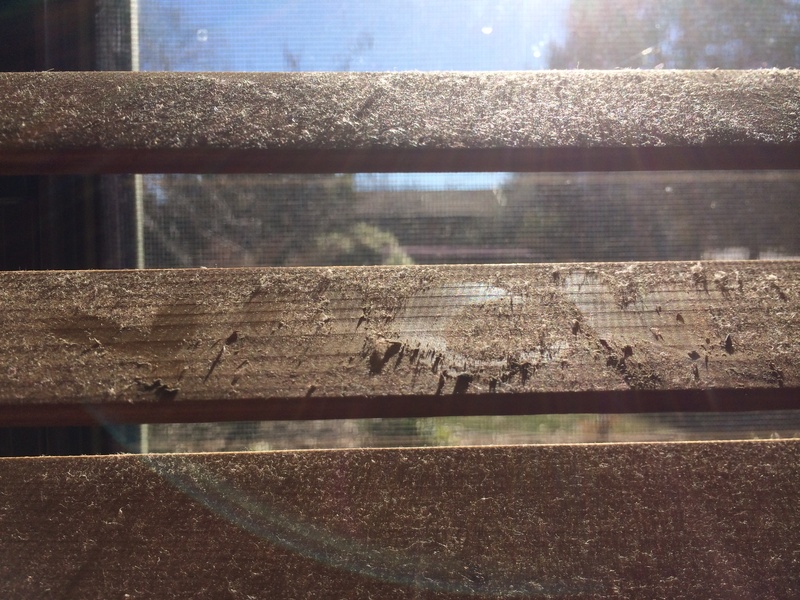 Have a read of a post about “my wall heroes” here… Clean your windows and mirrors just with water QUICKLY and STREAK free. 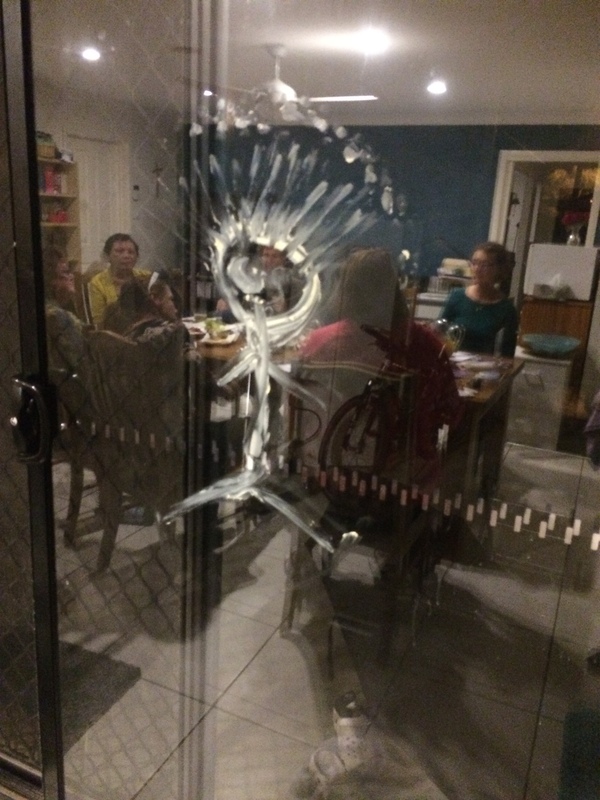 I will often at a party draw with butter on the window a bit like this guy to the right… then use a damp folded enviro & a dry polish/Window cloth and clean off the “butter art” & the whole window both sides with the same cloth! This combo comes with a warning though! Put stickers on the window as glass does look invisible! Read about a true (a slighly humourous story) here about that! Glass REALLY does look invisible. The scrub cloth is amazing. I have a professional cleaner (now consultant) buy over 30 of these cloths. They are seriously awesome. The “magic shower cloth” as it is often called! How is it that I have customers LIGHT UP LIKE THEY HAVE HAD A BABY- when they talk about this cloth? Really they do! It feels abrasive but won’t scratch your glass. You can also add cleaning paste (also available in the Dream Starter Kit), the blue diamond or descaler to budge really built up soap scum. You can also use it in the kitchen (for example on your teflon products or with the oven & grill cleaner). 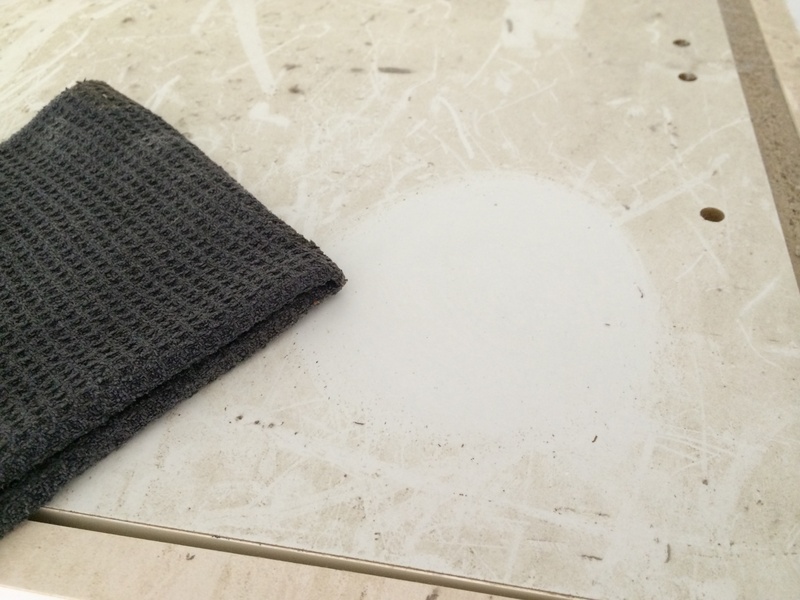 This is the ideal cloth for hard to clean surfaces. Also, great for cleaning showers, including shower floors and glass and bathtubs, and removing sticky residue, stubborn stains or rust. Great for removing soap residue and cleaning around taps. This is my dad’s favourite cloth, it is a MUST HAVE. He was so funny, when I gave him the “grease” cloth to clean his stainless steel, pizza oven, BBQ, range hood- I’m not sure how many phone calls I have received from him to send them to different friends and family. This photo was just a quick one when I cleaned the top of the kitchen cupboard. It’s AMAZING how you can feel the cloth “grab” at the grease. I recall one of my hosts and regular customers share about this cloth and her range hood. She was (probably still is!) a lady who takes MUCH care in the look of her home (much more than me!!) and she said once she got her dream starter kit home- she took this grease cloth out for her nemesis her RANGE HOOD- she had bought wipes, sprays, cleaners, stainless steel cloths- NOTHING had budged the “film” of grease. UNTIL THIS CLOTH!!!!!! Just with water- it was gone in only a few minutes. I still remember her excitement!! It really does work- it certainly is a cloth with the “WOW” factor!!!!! Cleaning Paste- no more magic erasers or gumption! Kitchen Cloth to clean, polish and protect plastic, enamel, ceramics, chrome, steel, aluminium and porcelain surfaces in one application. Works great to remove rust, stains and scuff marks, and on bathroom sinks and tiles too! 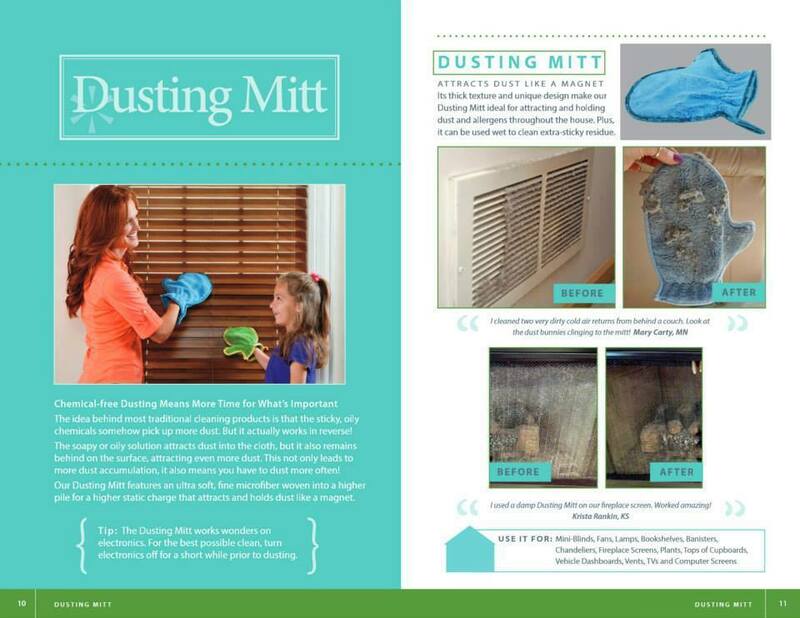 And last, but not least- the AMAZING Dust mitt. The dust mitt is like a MAGNET!! I have used mitts and cloths in the past that just swoosh everything around! Not this one. At my very first Norwex party- the consultant cleaned my fans which were directly above US- and we were all slightly concerned we would end up as dust bunnies (as I hadn’t cleaned those fans in 6 months!) however we all had dropped jaws by the end of that demonstration! The structure of the ultra fine fibres and the natural static charge inherent to synthetic products enables the Dusting Mitt to attract and trap dust and dirt more efficiently than cotton. You can use anywhere that requires dusting! For example: blinds, wooden Venetians, fans, banisters, vehicle dashboards, tops of cupboards, lamps, screens etc. SO YOU GET ALL OF THIS IN THE DREAM STARTER KIT FOR ONLY $147.50. AS IT IS VALUED AT $211, IT’S AS IF YOU GET THE ENVIRO & CLEANING PASTE FOR FREE!! If you would like to see more, check out our before and after book, a fabulous look at some of our products. Our new and improved environmentally friendly Laundry Detergent is the right formula for your family. It gets your clothes their cleanest, and because you only need to use a little, you save money. Plus, it works great in both conventional and front-loading washing machines. – Non-toxic, with biodegradable ingredients. – Formula is phosphate-, sulfate-, chlorine-, dye-, fragrance- and filler-free. – Contains environmentally friendly water softeners. – Dissolves quickly and starts working immediately. – Can be used with both conventional and high-efficiency (HE) washing machines. – Use just a fraction of the amount required by typical store brands. – Can be used with the Norwex Magnet Ball in top-loading washing machines, saving you even more. – Works well in all water temperatures.